Every child deserves a future! 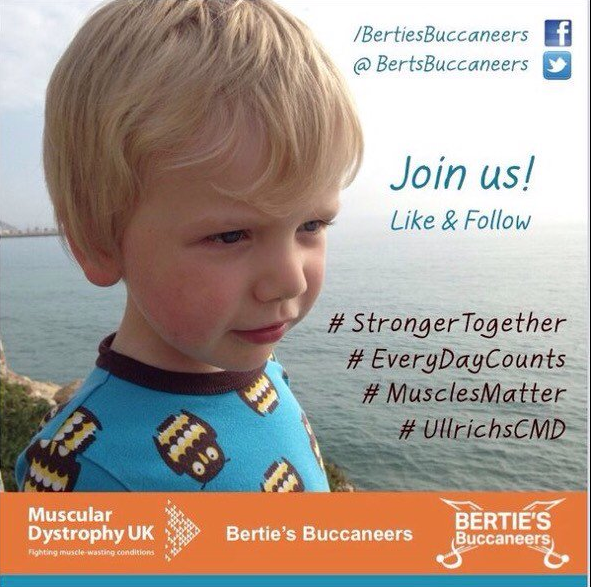 In 2014 (age 2), Bertie was diagnosed with Collagen VI myopathy (Ullrich congenital muscular dystrophy). This is a progressive muscle-wasting condition attacking Bertie's strength and mobility but also his ability to breathe too. It is a rare disease and although there is research, as yet there isn't a cure. This is the worst news any parent wants to hear. We were devastated and felt lost for a long time. We've picked ourselves up and we're fighting back. 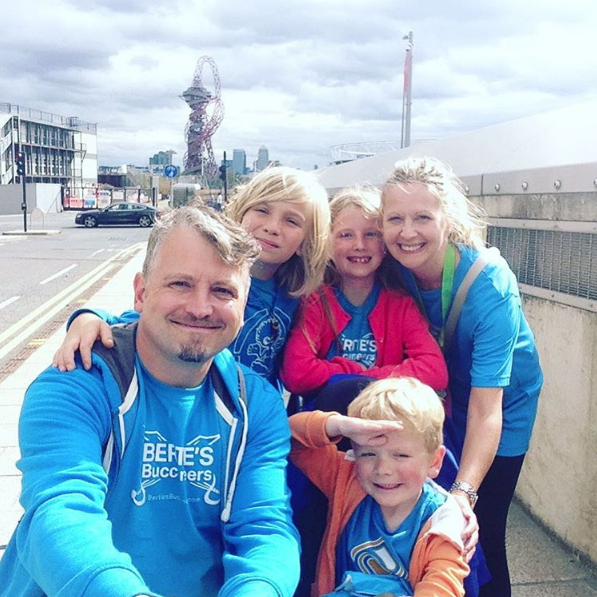 Bertie's Buccaneers is our community to raise funds for a cure, help fund disability equipment and most of all raise awareness of the challenges that run alongside a life lived with a muscle-wasting disease. We are also a Family Fund for the national charity Muscular Dystrophy UK (MDUK). All our fundraising for MDUK goes into the Ullrich CMD Appeal, supporting groundbreaking research right here in the UK but also contributing to the CollagenVI Alliance - a global initiative to find cures for conditions on this spectrum. Find out what your donation could fund here. For more detail on Bertie's condition, you might like to read our blog post: "What is wrong with Bertie?" Join Bertie's Buccaneers and help him, and others like him, to find a cure.